Rothchild's Fiddle Research Papers look at a piece of literature by Chekhov which formulated questions about the nature of existence. In Rothschild’s Fiddle, as in the majority of his works, Chekhov formulated questions about the nature of existence for the reader to explore. In this short story, the main character approached death only to make the realization that he had wasted his life. This particular insight is one that has been noted by many people after tragedy, illness or death strikes. However, despite the ability of humans to learn from the experiences of others, this insight is not one that people often act upon until something prompts them personally. 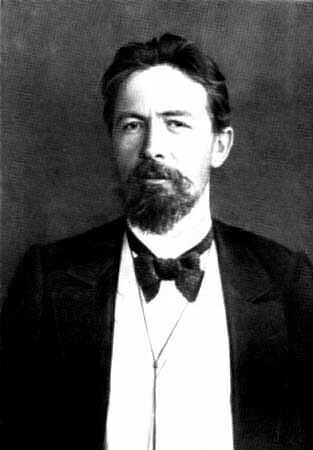 Chekhov, who fought the battle with tuberculosis for ten years before writing Rothschild’s Fiddle, was intimately aware of how precious life was and had been personally tempered by illness and impending tragedy. It was his own ability to see the conclusion and take stock of his path, before the actual end, that allowed Chekhov to write such a story, a tale of a man who did not know what he had truly lost until there was nothing left to gain. Simply related, the story Rothschild’s Fiddle is the tale chronicling the last days of Yakov, a poor and bitter coffin-maker who resided in a downtrodden Russian village with a short list of possessions, including his wife Marfa. Yakov was a man who took daily account of any actual and perceived losses he had endured, noting each in his journal so that he could revisit them and wallow in the misery they created. This was his sole occupation on many days. As Saint Days and holidays were sacred, he was often left with nothing to do but chart those assets that fate had stolen from him. In the story Yakov once contemplated his life and saw that “there were losses and nothing else”. Paper Masters writes custom research papers on Rothchild's Fiddle and look at a piece of literature by Chekhov which formulated questions about the nature of existence.